Richard Marshall's side claimed a 20-18 success, holding off a second-half fightback from a determined Batley side. So, without further ado, here are eight of the best pictures taken at the Mbi Shay Stadium on Sunday afternoon. Kevin Larroyer beats Batley's Dave Scott to the ball. Dan Fleming is tackled by Batley's James Brown and Tom Hemingway. Wayne Reittie is stopped in his tracks by Scott Murrell, Kevin Larroyer and Dan Fleming. 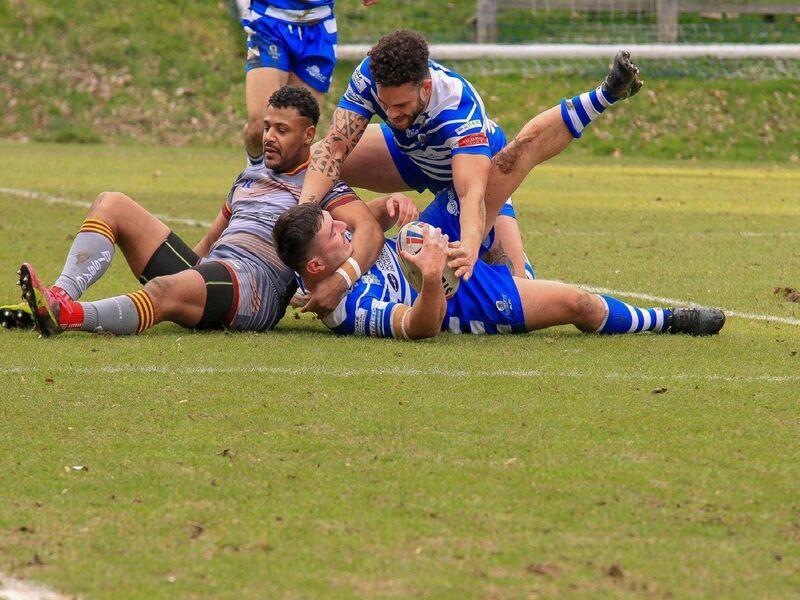 James Saltonstall scored for the fifth game running against the Bulldogs - marking his 100th career appearance with a try.